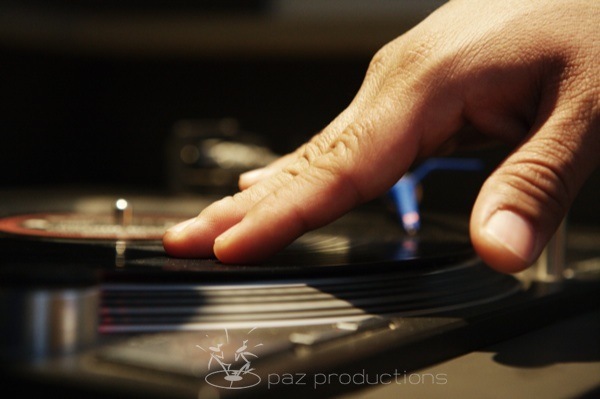 Paz Productions believes that all events should be unique and impressive. For more than 20 years our creativity and experience have provided clients with quality music entertainment and memorable events! We are honored to have played for numerous clients in a variety of venues and we look forward to playing at your next event. Providing clients with quality music entertainment and memorable events for over 20 years. Guided by and refining your vision our professionals set the atmosphere your event deserves. We deploy quality high end equipment and continuosly monitor your event for optimal sound quality. Personalized service, detail oriented event planning, and creative experience guaranteed to meet and exceed your events expectations. From a crowd motivator to an announcer, a Master of Ceremonies (Emcee) is a great addition to any party package. An Emcee leads your event and sets the mood. By matching the personality of the Emcee to your event, we can ensure that your guests hear and experience just what you expect. For your convenience, bilingual Emcee’s are available upon request. Compliment your event with a basic, premium, or special effect lighting package. Our lighting packages include everything from laser lights to a multi-color light show. Contact us for additional information about our premium intelligent lighting and the personalized gobo effect we offer, certain to enhance any event. Our music packages are based on the duration of your event and will be tailored to your requirements and venue. We offer a wide range of musical genres including: Big Band, Classics, Freestyle, House, Hip-Hop, Jazz, Latin, Oldies, Pop, R&B, Reggae/(ton) and many others. Although we supply the music, you create the program! The DJ uses his creativity to mix and create a customized program exclusive to your event. Party favors are available for all types of weddings. You can select from a pre-sorted package or choose specific giveaways. We offer different packages that can be modified to fit your needs. They cater to all themes and are an inexpensive way to motivate the crowd helps keep your guests up and moving regardless of event size. Bringing people together to celebrate a person’s milestone is great and even better with a music entertainment company who has years of experience in getting your guests up and moving. From dinner to dancing, our expertise helps us read the crowd while still maintaining the personalization you seek for your event. Whether it is a holiday party or a networking function or conference, we offer the professional and diverse entertainment you require for all your guests and staff. We have provided our services to a variety of fortune 500 companies as well as many organizations throughout the tri-state area and beyond. Services range from audio & visual services, PA systems and music entertainment. Aside from a wedding, another girl’s fairytale-like dream moment is that of her stepping out in front of friends and family to celebrate her one and only Sweet 16. This coming of age event symbolizes her transition from a little girl to young woman in front of all. The momentous occasion can be glorified through various dances, candle ceremonies & other personalized touches, making it as simple or as glamorous as the celebrant herself and in line with her vision. Just like each bride & groom is unique, so is that special day which will be one of the most memorable days of your life. Paz Productions specializes in ensuring that every entertainment aspect of your wedding day is covered at its best! We can provide you with customized musical & audio services that cater to a specific theme for your wedding and not only meet, but exceed all of your expectations. “ I had an engagement party & was very picky as to vendors.